Mirova is please to support the Coalition for Private Investment in Conservation (CPIC) initiative, launched on September 2, 2016. Honolulu, HI (2 September 2016) — In an effort to address an estimated US $200-300 billion annual funding gap in conservation, civil society organisations, private and public sector financial institutions and academia joined forces today to launch the Coalition for Private Investment in Conservation (CPIC) during the IUCN World Conservation Congress taking place in Hawai?i. The Coalition’s goal is to help preserve the world’s most important ecosystems by creating new opportunities for return-seeking private investment in conservation. “The European Investment Bank has reinforced support for conservation finance in recent years and we are pleased to be involved with landmark conservation focused transactions. Working with leading conservation and finance partners helps to crowd in private investment. The EIB expects to increase efforts to support conservation and working closely with IUCN and other CPIC partners is crucial to achieving shared conservation goals," said Jonathan Taylor, European Investment Bank Vice President. “DEFRA is looking at innovative finance options as part of its work to develop a 25-Year Environment Plan, and that we believe the CPIC's work is well aligned with DEFRA’S initial thinking to date,” said Richard Price, Director and Senior Adviser for Environmental Finance for the UK Government, Department for Food, Environment and Rural Affairs. “As a European private management company dedicated to sustainable investment, Mirova is pleased to support the CPIC initiative. The Coalition will contribute to reaching the SDGs by unlocking the market for further investment in natural capital. 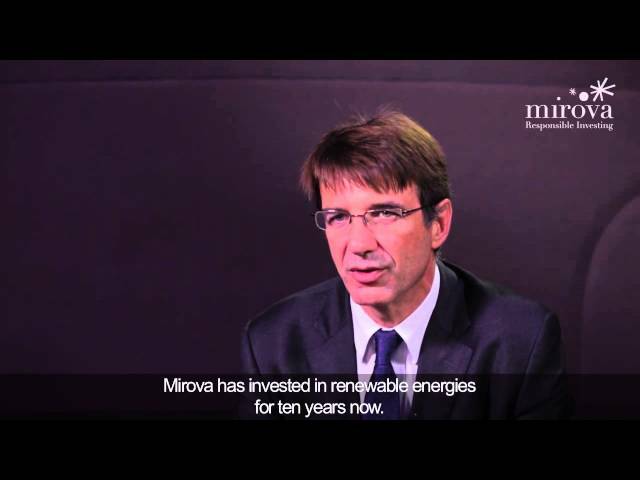 Mirova is already highly involved in such objectives with the Land Degradation Neutrality Fund project carried out together with the UN Convention on Desertification,” said Philippe Zaouati, CEO of Mirova, a wholly owned subsidiary of Natixis, itself part of BPCE, the second largest French banking group. “Increasing private investment in nature is key to create jobs and eliminate poverty in rural areas where it is most entrenched. For that reason, we very much welcome the Coalition’s efforts towards scaling up finance that delivers social and environmental returns,” said Julia Bucknall, Director, Environment and Natural Resources Global Practice, World Bank, who was present at the CPIC launch.